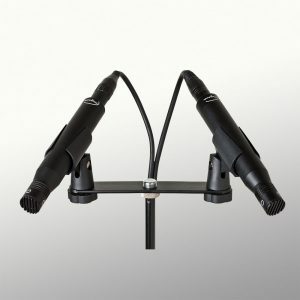 The MA-100SP is a matched pair of MA-100 small-diaphragm, vacuum tube condenser microphones with interchangeable cardioid and omnidirectional capsules and a dual power supply. 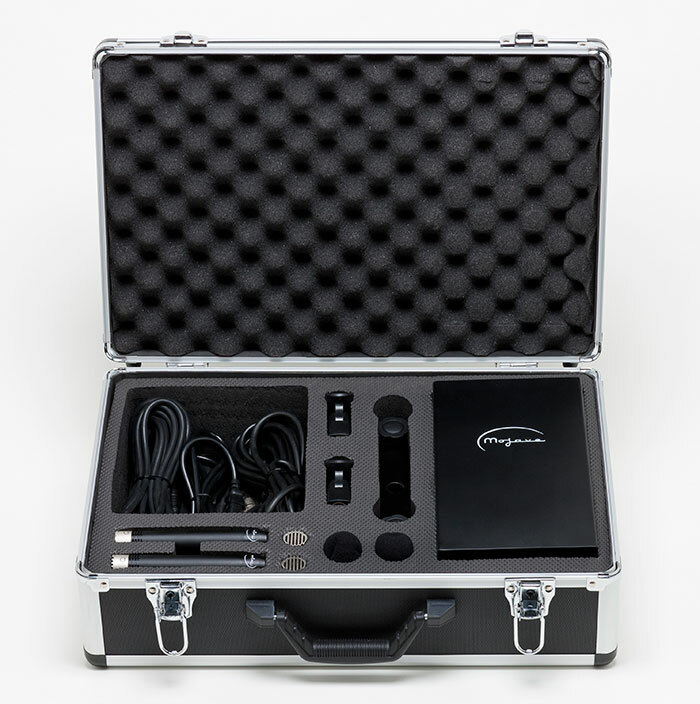 Packaged in a single carrying case, the MA-100SP provides professional recording engineers with a convenient, easy to set up system for stereo recording applications. From a linage of successful microphone designs by David Royer, the MA-100SP’s cathode follower circuitry provides ample headroom for high SPL applications such as drums and guitar amplifiers. 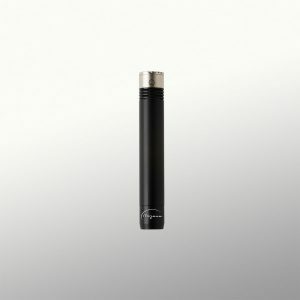 It also excels at the more common applications for small diaphragm, vacuum tube condenser microphones such as acoustic instruments, cymbals, stereo pairs and pianos. 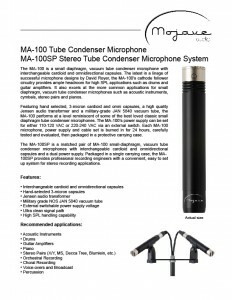 Featuring hand selected, 3-micron cardioid and omni capsules, high quality Jensen audio transformers and military-grade JAN 5840 vacuum tubes, the MA-100SP performs at a level reminiscent of some of the best loved classic small-diaphragm tube condenser microphones. 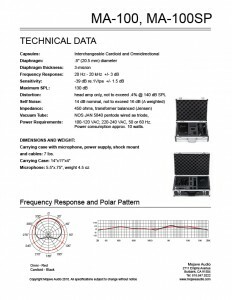 The MA-100SP’s power supply can be set for either 110-120 VAC or 220-240 VAC via an external switch. The complete MA-100SP system is burned in for 24 hours, carefully tested and evaluated, then packaged in a protective carrying case. 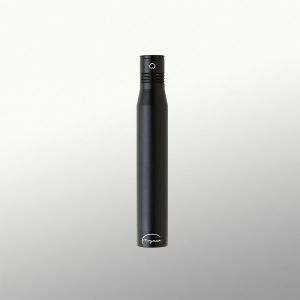 Small Diaphragm – Big Sound! 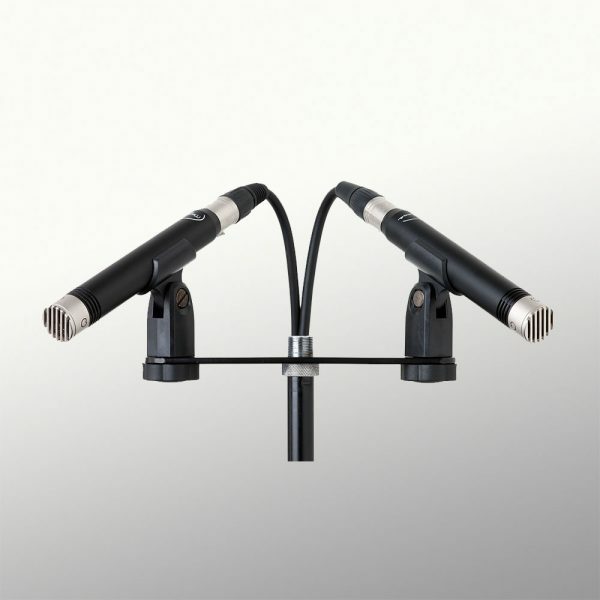 High SPL handling capability – try putting your large-diaphragm mic on a snare drum! 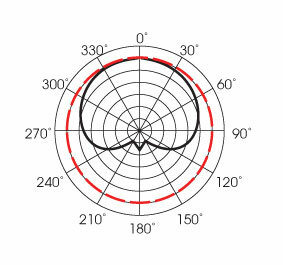 POWER REQUIREMENTS: 100-120VAC; 220-240VAC, 50 or 60 Hz. Power consumption approx. 10 watts. DIMENSIONS AND WEIGHT: Carrying case with microphone, power supply, shock mount and cables: 7 lbs.